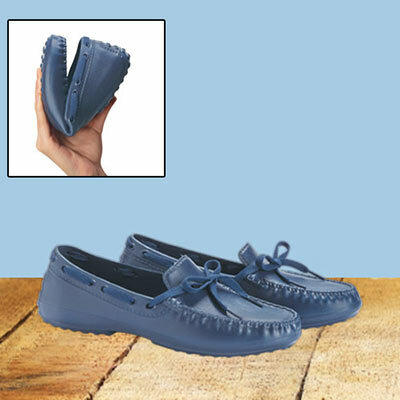 These Soft Driving Loafers are actually made out of super soft vinyl and are accented with navy laces. Traction soles help keep footing. Available in whole sizes.